People don’t take vitamins in and of themselves, let alone customized vitamin packs. 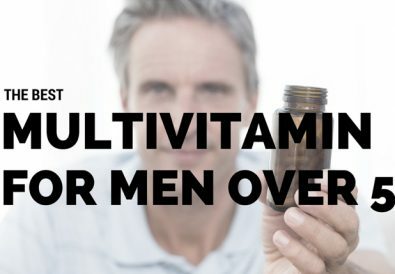 When they do make the decision to take vitamins, they usually just go to their local pharmacy, buy some multivitamins, and hope that these multivitamins will improve their conditions or make their current conditions that much better. There is a much better approach to this. While taking multivitamins is better than not taking any vitamins at all, taking multivitamins is only one small step better. If you are really interested in your long-term health as well as physical performance, you need to diversify the vitamins you are taking. This can be optimized with custom vitamin packs. The problem with multivitamins is twofold. First, they take on a kind of “one size fits all” role when it comes to health. This can result in you taking vitamins that may not be necessary, or even worse, taking vitamins that you might have a negative reaction to. This “one size fits all” approach is also a very lazy approach to maintaining proper health. The other flaw with multivitamins is that they are often too generic. Like anything else you buy at a store, multivitamins are not made with the most organic materials. So not only do multivitamins provide nothing more than a “one size fits all” approach to vitamins, it is highly unlikely that these multivitamins are inorganic. This is why custom vitamin packs are better than multivitamins. 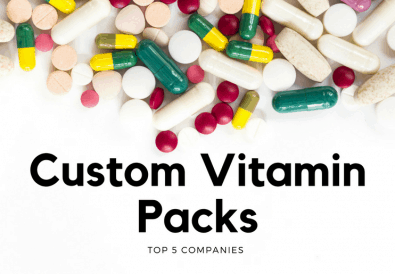 So now you know why custom vitamin packs are better than multivitamins, and you now know particularly how they outperform any kind of vitamin sold over the counter. So now the burning question should be asked: How good are Persona vitamin packs? I have grown pretty skeptical of vitamin packs and supplements that say that they are “personalized.” Most of the time, this is not true. Sure, when you get the package it will have your name on it and other things, but it doesn’t really have a feel that it is personalized. 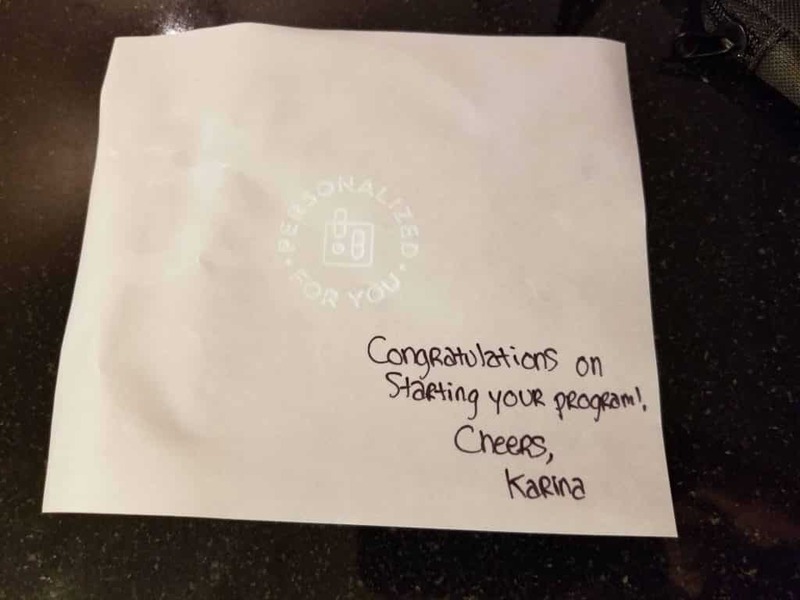 Any vitamin pack company can slap the name of the person who ordered it on their packages and call their product “personalized.” When I ordered from Persona, I was hoping for something different. While I did encounter more of the same with the Persona vitamin pack, there were a few things that set it apart from other vitamin packs in the past. First, the packaging looked very classy, as if I was being invited to an upscale party. The packs with the vitamins had my name embroidered on it, which was a nice touch. On the top of the box was a handwritten congratulatory statement, apparently from somebody who works at the company. These things go a long way, as negligible as they may seem. I usually do not have a problem when it comes to reminding myself to take my vitamins. Like with any other form of nutrition, I schedule my vitamin intake around my workout schedule. So I have never had a problem when it comes to the routine of taking vitamins. Most apps that are related to vitamin packs are usually nothing more than a reminder. Maybe they contain some information about the vitamins and allow an easy way to order more vitamins, but most apps do not do any more than this. There are a couple of differences with this particular app. First, it will allow you to contact a nutritionist through the app. I have never seen a vitamin app do this, and it is really nice to know that if I have any questions, or if I need to talk to a nutritionist to explore other options in case I need to add anything to the vitamin pack that I just ordered. The app also contains the shipment schedule for my vitamin pack, which is expected but is still nice. One thing about the app that may turn others away is that it is only compatible with Apple iPhones and tablets. This particular app has not come out for any other kind of mobile device yet, which is unfortunate. 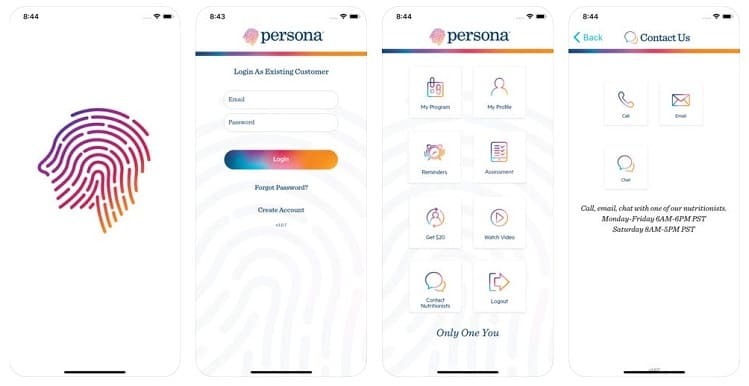 While good risk reversal is common in any business who aims to sell products online, Persona takes this to another level in a couple of ways. First, they offer a free assessment for anybody who wants to order anything from them. This gives them an idea of what kind of vitamins will be best for you. The assessment collects a lot of information, including what kind of allergies you have and what kind of dietary, health, and physical fitness habits you have. This determines what kind of vitamins you need. It also asks about any common physical or mental conditions to get a pretty accurate recommendation of vitamins. Most of these vitamins are only taken once a day, which is refreshing to see. One thing about this assessment that I liked seeing was their specific questions about physical activity. Most assessments like this seem to just ask a couple of questions about physical fitness. Usually, they will ask prospects if they are sedentary or not, and if they are not sedentary, what kind of exercise they do. Persona adds a few more questions to this, which to me was very refreshing to see since I have a highly developed workout routine. The assessment I took addressed this to a much better degree than other assessments. 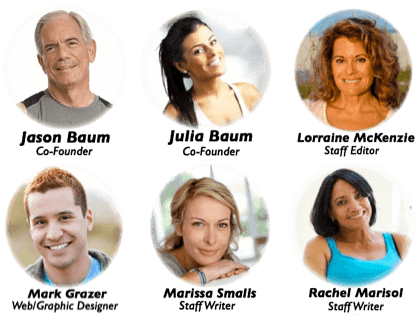 The assessment that Persona offers is a very good risk reversal tactic, as it allows potential buyers to select exactly what kind of vitamins they wish to order. This saves money for the buyer and if the buyer decides to cancel their next order, neither party will lose too much money as a result. The other major form of risk reversal that Persona practices are that they offer their prospects a 50% discount. This gave me a very strong incentive to proceed with my first order. The 50% discount presents a very low risk to the buyer, which is very important. I was able to feel the effects of the vitamin pack as soon as I started taking the vitamins that I ordered. 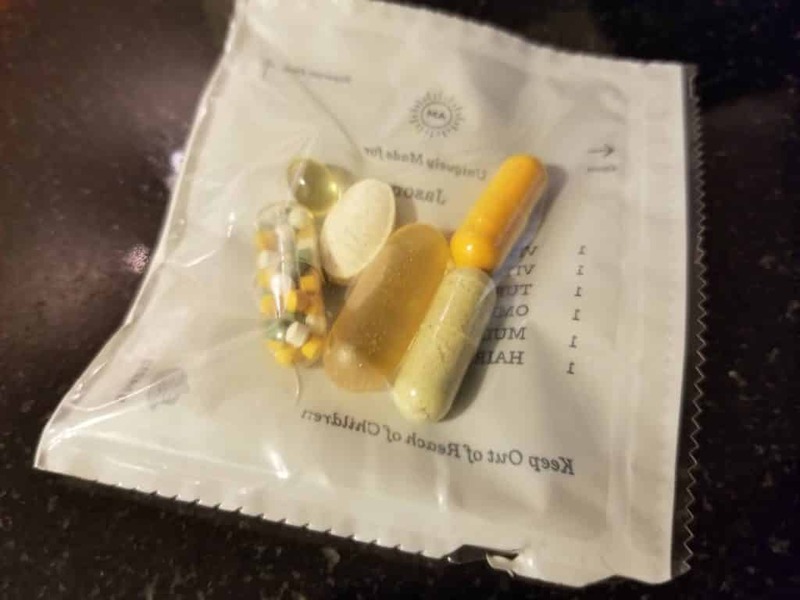 While the pack I ordered was fairly simple (I ordered vitamin C, D, turmeric, omega 3, hair/skin/nails formula, and a foundational multi) compared to other vitamin packs that address specific health issues, I still experienced really good boosts in energy and performance. What usually happens with vitamin packs is that I might experience a short burst of energy and performance after the first month, then in the months after these levels will “adjust” to the vitamins I am taking. With my Persona vitamin pack, I am still experiencing very significant boosts in energy, which have allowed me to perform much better in my workout sessions. I am confident that I will keep experiencing these amazing boosts in energy going forward. 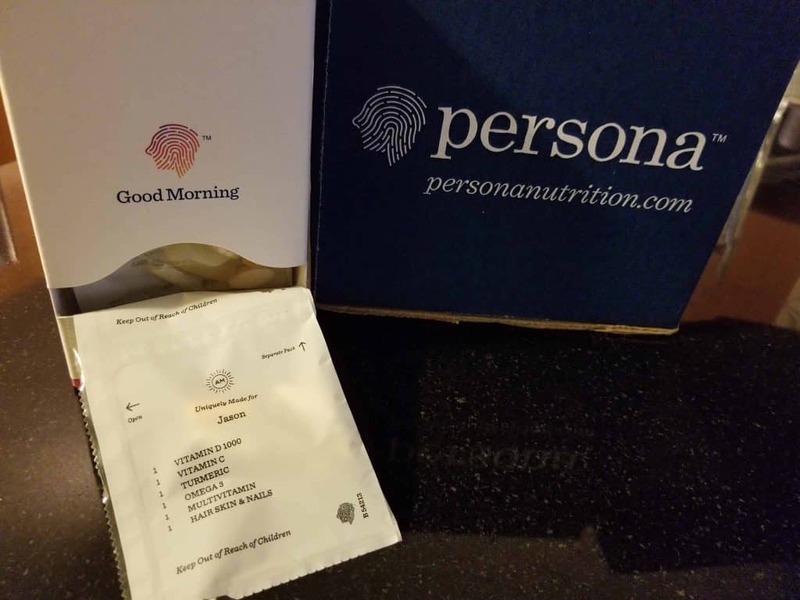 I am very pleased with the Persona vitamin pack that I ordered. They offered more variety in their vitamin packs than most of the other vitamin packs that I have ordered. 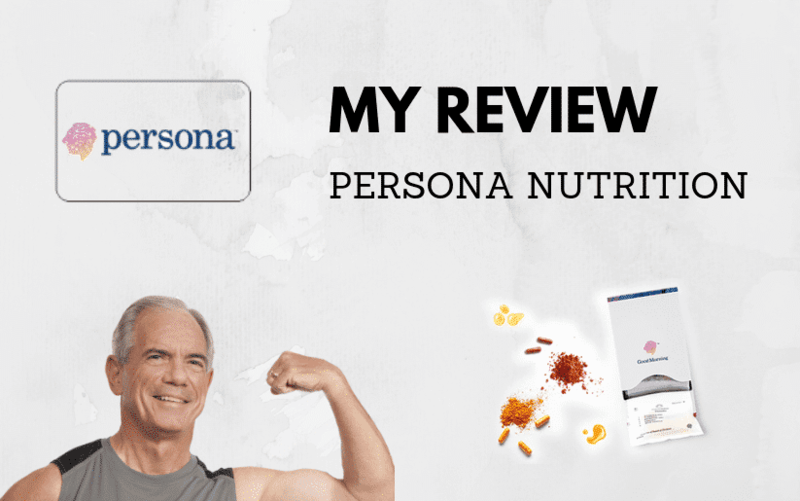 Whether you are just trying to maintain your health or are like me and exercise vigorously, Persona will offer a vitamin pack that fits right in line with your needs. The 50% discount off of your first order reduces a lot of risks, and the regular price point of Persona vitamin packs are very fair as well. The personal touch they presented in their packaging was impressive as well. It felt a lot more genuine than other vitamin pack companies that I have ordered from. 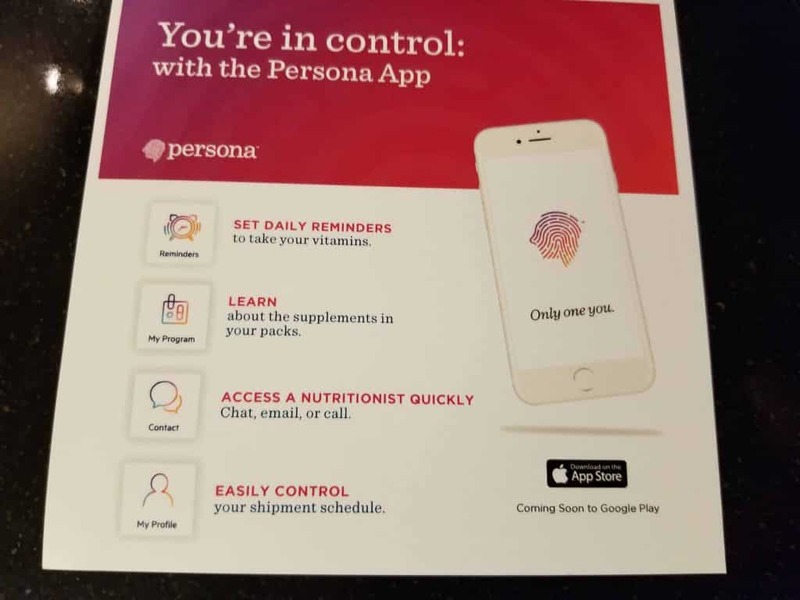 The fact that you can contact Persona’s nutritionists at any time is an example that other vitamin pack companies should follow. If you have made the decision to transition from multivitamins to vitamin packs, consider ordering from Persona. You will not be disappointed. I know I wasn’t. 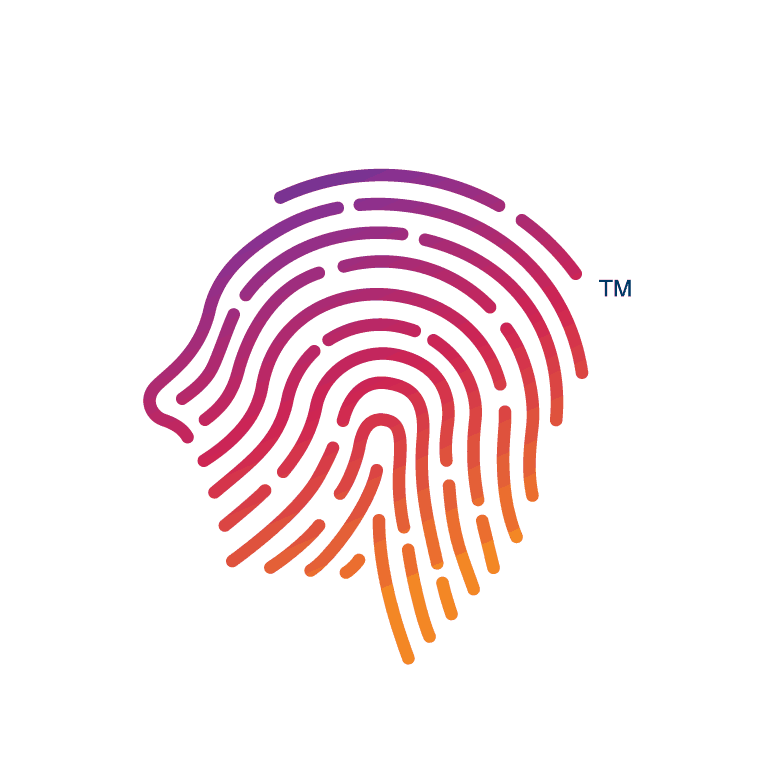 Persona Nutrition was founded in 2017 as Vitamin Packs and rebranded in August of 2018 to Persona. Their goal is simple. Provide a unique science-backed wellness program through personalized vitamin and nutrient recommendations. 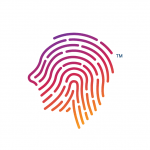 Their easy assessment considers your health & wellness, lifestyle, and prescription medications. You get personalized, doctor-approved vitamin recommendations. 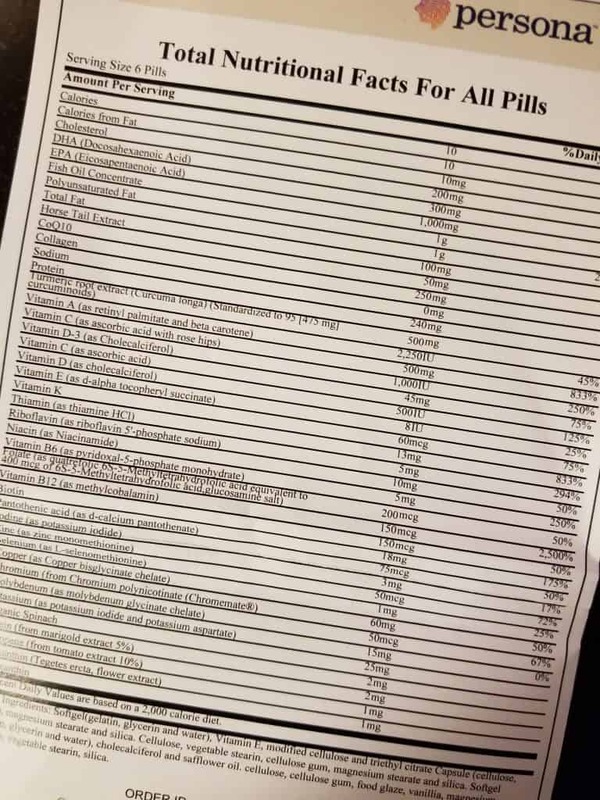 Prescription medications are cross-checked against a database of over 850 medications to ensure there are no adverse drug-nutrient interactions. 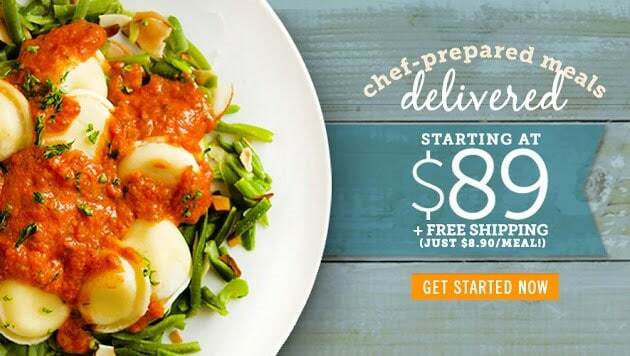 Convenient packets are delivered to your door and cost 30% less than other premium brands in bottles. Their vitamins come in pre-sorted time-coded daily packs. So supplements for sleep are in night packs and energy in day packs. 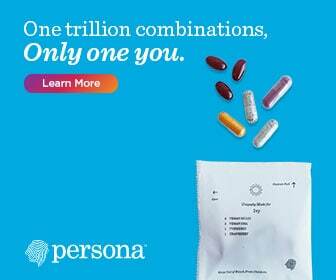 Their Persona supplements are made from high-quality easily absorbable ingredients and meet cGMP guidelines. COUPON: Get 50% off your first order when you use this link, plus 20% off your second order and 15% off your third order!